If you choose not to let your children believe in Santa because of a personal conviction or tradition that you all have for your family let me say - I totally honor and affirm this decision for you! I think that whether you want your children to believe or not believe in Santa is for each family to decide and that we can't be shaming each other over this. So let's just take off the boxing gloves, sip a cup of cider, light a holiday candle and I'll tell you why my husband and I let our children believe in Santa and love Jesus too. Christmas is a wonderful time of the year to really reflect the gift of giving and remember first and foremost that God's greatest gift to us was his Son, Jesus. We talk continuously with our children throughout the season about why we celebrate Christmas and how it honors the birth of Christ. Several years ago I bought a little plastic nativity scene from our local bookstore and re-enacted the story of Jesus birth with my oldest child. It came with a book that re-told the nativity story but my oldest loved to share with me his version of Jesus' birth. 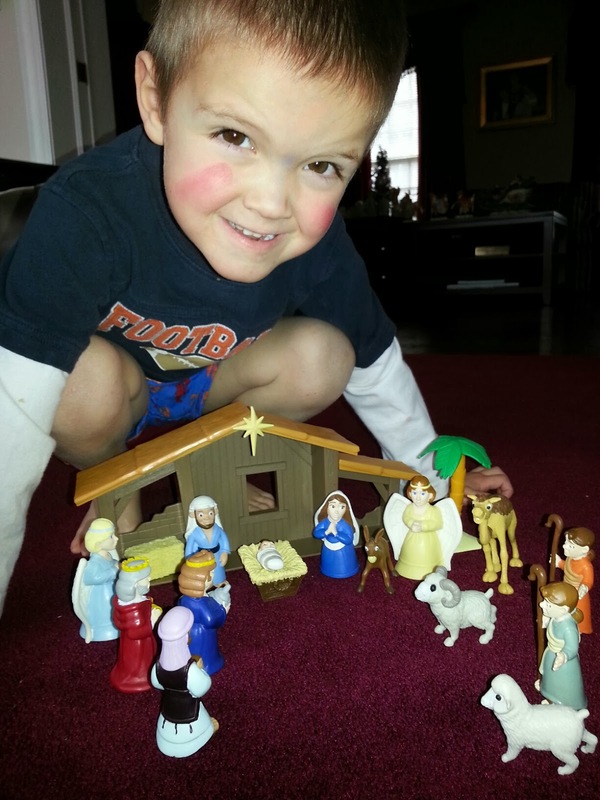 Just a few weeks ago we pulled out the plastic nativity set again and I gave my three year old an opportunity to hear about the story of Jesus' birth while playing with the manger scene. When it was his turn to tell the story he told me that baby Jesus' mom and dad were so happy he was born and then God told everyone else to come visit them. So all his friends came to see him and brought baby Jesus his birthday presents and the angels were so happy they sang, "Our God is so big, so strong and so mighty there's nothing my God cannot do." I think we're getting there. As a child I was able to memorize Luke 2:1-15 (It's the same passage of Scripture Linus recites in the Charlie Brown Christmas special). We would recite it as a family every year at my grandparent's home just before it was time to exchange gifts with my slew of aunts, uncles, and cousins. I was constantly reminded about the birth of Christ and participated in many activities at my church that continued to reinforce the true meaning of Christmas. I do the same with my children but I don't limit it to just one season during the year. 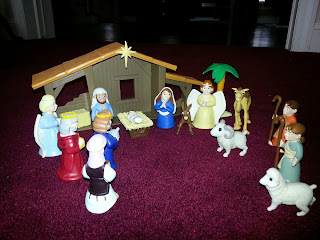 We talk about God and the gift of His Son throughout the year with our children. Christmas is a time of year where we really focus on the gift of Christ to the world but it certainly should never be limited to just the few weeks leading up to December 25. Being the daughter of a pastor and some pretty conservative parents we never celebrated Halloween, we rarely had cable tv, and our family of six shared one, wood-paneled, station wagon for many years. 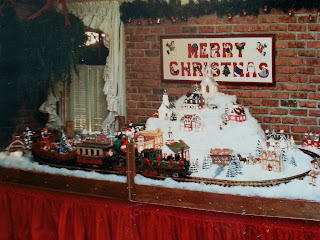 Yet, there was something so magical about Christmas in our family. 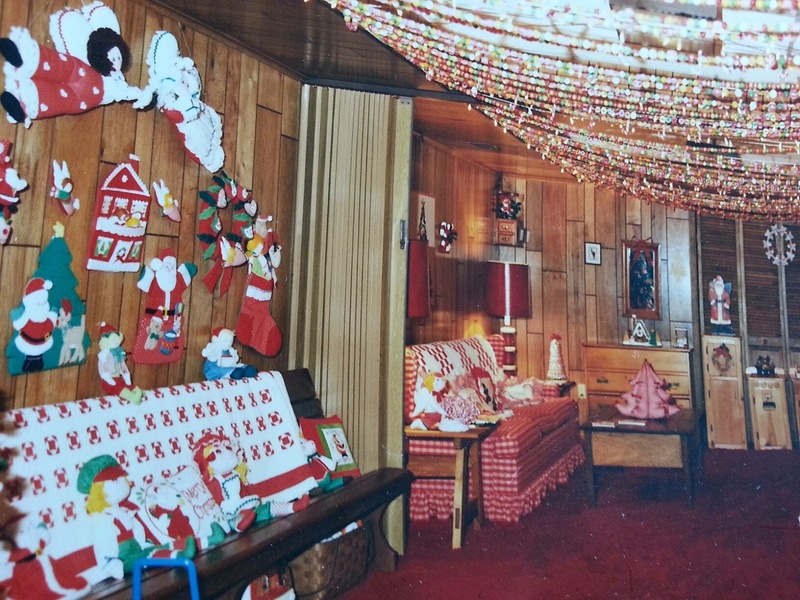 My dad's mother loved celebrating every holiday but Christmas was her favorite season of all. She began preparing for the Christmas season in October as she began assembling each room piece by piece. There were trains and 12-foot Christmas trees. 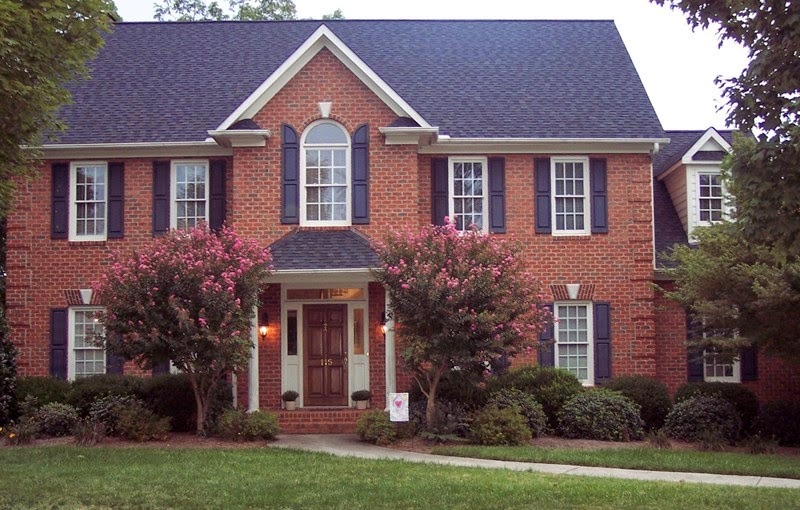 A huge red sleigh in the covered carport and a basement decorated like a gingerbread house. There were mechanical elves in Santa's workshop and a gigantic, wall- to-wall mantel filled with stockings from one end to the other. Opening her home was a gift that she loved to share with others and she was always working on Christmas crafts and projects throughout the year. She generously gave each of her grandchildren huge bags filled with wonderful gifts and being in her home was a blessing and a gift to me especially since my parents had to live very frugally all year long. So many people remembered the kindness, warmth, and hospitality of her home during the holidays. She definitely shaped the spirit of Christmas in me. Part of her Christmas spirit was the fun of her grandchildren believing in Santa and reminding us to go to bed early so Santa could come and deliver his gifts. It was always done in good fun and the anticipation of Santa coming was as much fun as Christmas morning. 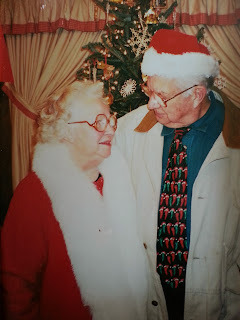 For my grandmother, Christmas was less about Santa coming to drop off a bunch of gifts and more about sharing the warmth, the hospitality, and the kindness of the holidays with others. She and my grandfather were so very generous to all and they loved to give. Some of my most treasured memories is Christmas at their home and I seek to do the same in my home now that I have my own family. I love to host any time of year, but I especially love my house at Christmas. A few days ago we had a dinner party for about 20. We had two of our main rooms decorated for Christmas and I had the hot cider out and holiday candles lit. My 8 year old came into the kitchen and said, "When our house smells like this I know we must be having a party. I love having parties here." I know that I am creating an atmosphere for my children that is less focused on Santa and more about opening our doors to others. I hope that a cinnamon candle and a pot of cider will always remind my children of our home at the holidays and their memories of Christmas will be those times that we shared our home with our friends, our family, and each other. We all can agree that childhood is short. They have the rest of their lives to be adults. There is something so magical about a child's imagination. We encourage our children to use their imaginations all the time and part of the fun of Santa Claus is letting our children use their imaginations at this time of year. We limit their Christmas list to three gifts and may throw in a surprise or two on Christmas morning. We might get 5 maybe 6 years from each of our children to believe in Santa and then that is it. 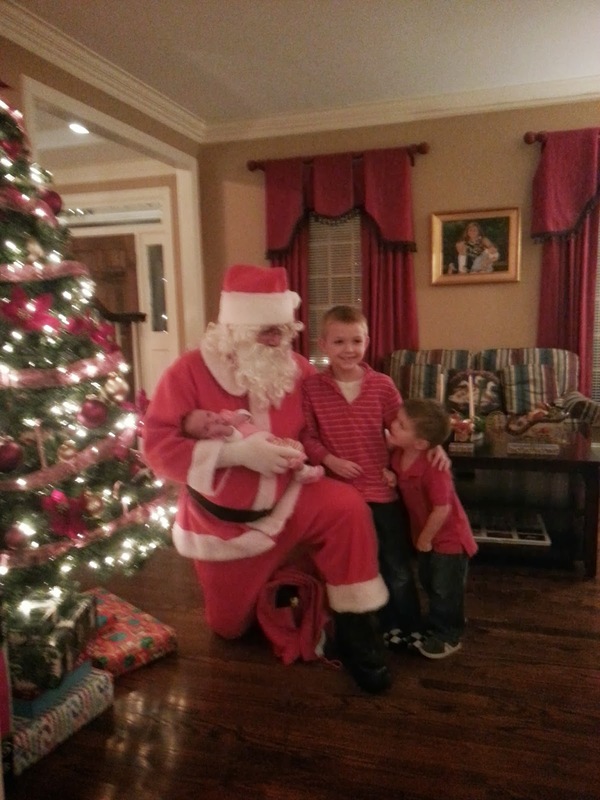 They've matured, they're starting to grow up, and Santa is no longer part of the picture. Capturing this short time of childhood is so precious to me and I know that it will be over so soon! One of my best friends has four children and from the beginning they decided not to do Santa at their home. (Side note - We are very close friends, our children are close friends, and the issue over whether or not to believe in Santa has not been a dividing point or area of judgement in our friendship.) Anyway, the children know in their minds that Santa is not real, but a few years ago I was with them at the mall when one of the girls squealed in delight. Seeing Santa Claus sitting atop his big red chair she exclaimed, "Mommy! Look! It's Santa Claus!" We just smiled at each other. Yes, there is something magical about a child's imagination at Christmas. I don't remember having a major moment of crisis when I realized Santa wasn't real. For me, one year I believed and somewhere over the course of the next year, I guess my logic and critical thinking skills just grew. Matter of fact, I haven't met one single person who had a great life until the day they learned Santa Claus wasn't real and then they hated their parents, never forgave them for perpetuating a lie, and turned into a sociopath. Most of us have pretty good memories of Christmas and if we believed in Santa Claus it really captured the innocence of our childhood. Whether you want your children to believe or not let's all agree not to make this another place in which we mamas start to pass judgement on each other. Let's keep our homes focused on the greatest gift which is Christ and be reminded that we celebrate the season to honor and glorify Him. Let's not let the commercialism of the holiday make us all crazy people but instead let's remember to give kindness, warmth, and love generously to others. Let Santa be a fun, creative, and imaginative sidenote to Christmas but not the focus of Christmas. Season your home with love and enjoy the true spirit of Christmas as you extend warmth to others. And I would love to hear from you about your holiday traditions and how your family celebrates Christmas. Enjoy this holiday season and above all else, make it your focus to be a blessing to others!